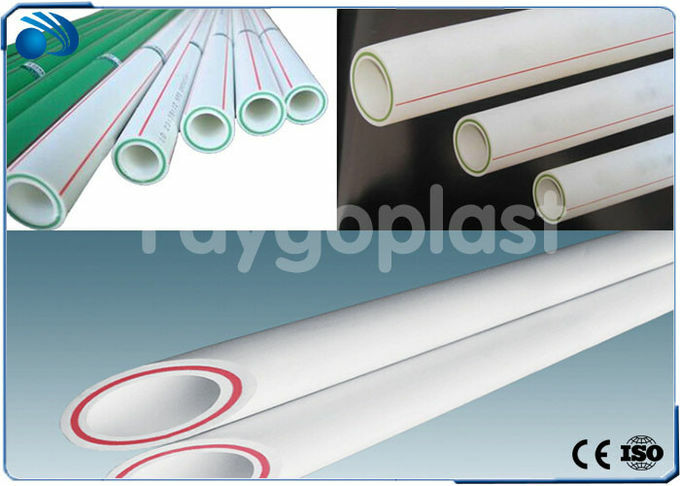 This line is mainly used for producing PP, PE, PPR multilayer pipes, PPR glass fiber pipes, PERT and EVOH co-extruded pipes. 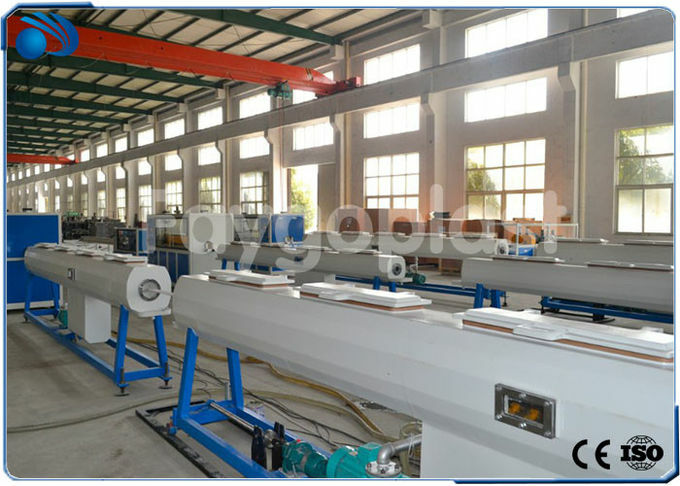 According to different requirement, this line could adopt two, three, four, five extruders, to make two layer, three layer, four layer, five layer pipes. The layers which made by same color, same material could use one extruder. 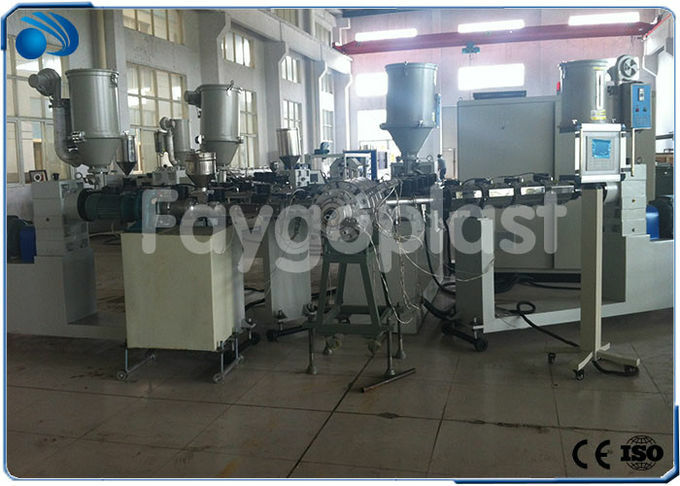 This line energy efficient single screw extruder, which adopts AC motor, hardened gear box drive to ensure the energy saving production, smooth operation and quiet as well as long service life. High-end temperature control configuration system, temperature control accuracy of ± 1.5°C to ensure the roundness/dimensional accuracy of the pipe. The tank body of vacuum calibration and cooling units adopt stainless 304# steel. 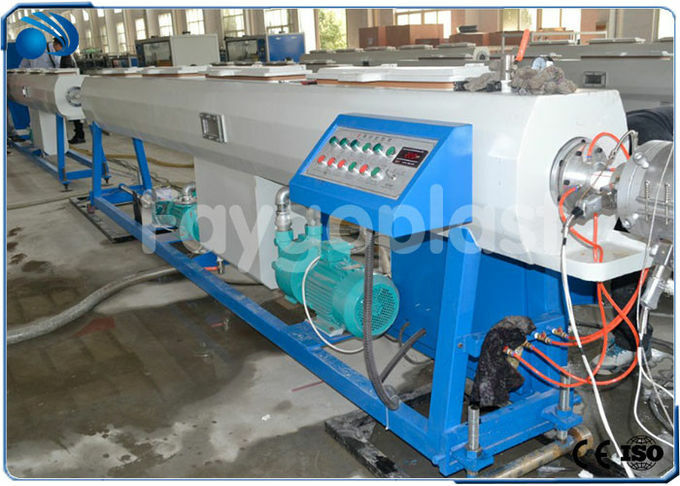 The high vacuum chamber ensures the precise sizing for pipes; spraying cooling will improves the cooling efficiency; Auto water temperature control system make the machine more intelligent. According to the production, operator need to change the mouth die, core mold, and production of two different diameter or different pressure grade of pipe. The machine could adop PLC control and color large screen liquid crystal display screen composed of control system, the operation is simple, linkage across the board, machine adjustment, automatic fault alarm, the whole line appearance, stable and reliable production.